The ‘Prince George effect’ is now officially a thing. 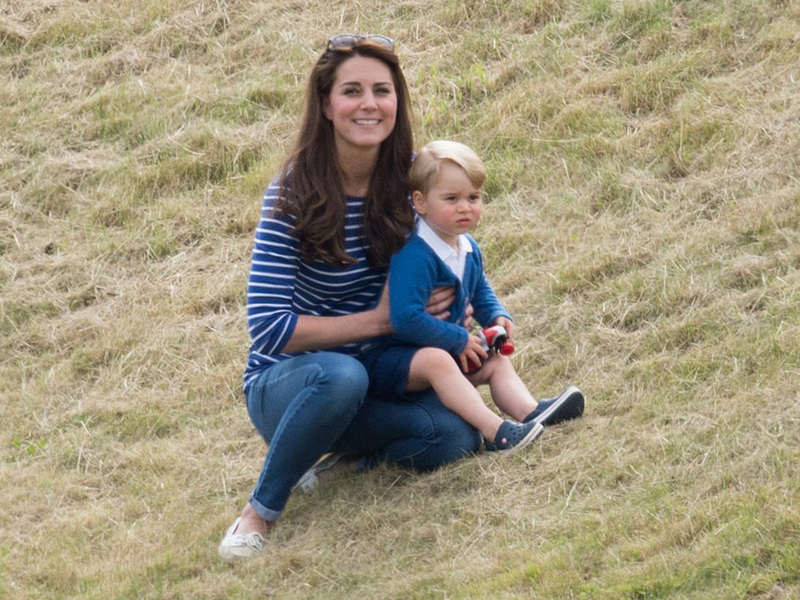 Since toddling out in a pair of Baby Crocs at the polo two weeks ago, George’s fashion influence has seen sales of the rubbery clogs spike by 1500%. As in 1500%. Yes, we once shuddered at the concept of Crocs, the fugliest shoe to grace our stylish planet. But it’s amazing what being spotted on a mini prince can do for a brand’s fashion rep.
‘Once again, Prince George proves there’s no age limit on being a fashion icon,’ Amazon.co.uk’s Daniel Silverfield told Women’s Wear Daily of the incredible increase in sales of the £34.94 kids’ shoes. We all know about ‘the Kate Middleton effect’- the Duchess’ ability to make any frock a sell-out is very, very well documented. But the Prince George effect? Other brands to experience big boosts when our future king wore their clothes include Cath Kidston and Aden & Anais (yes even his swaddle blanket was a sell-out). While George’s efforts to break the fashion internet are so far impressive, we suspect that it won’t be long before his little sister Princess Charlotte gets in on the act too.